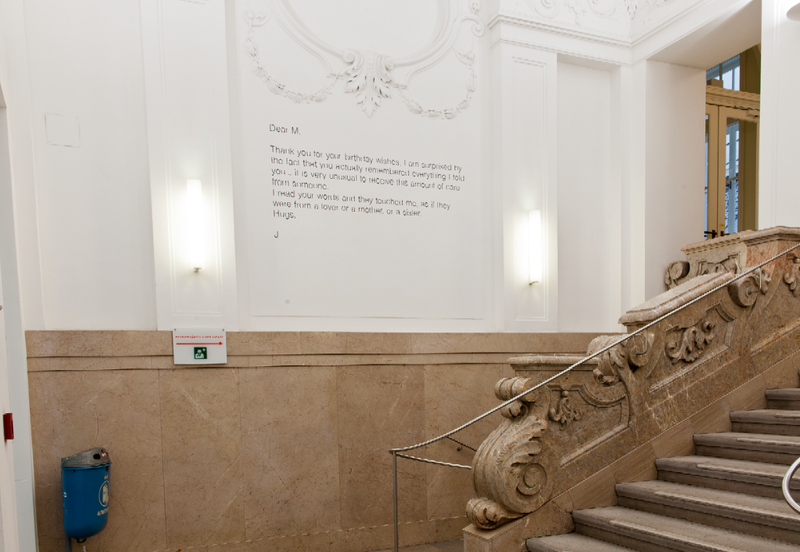 On the wall of the entrance hall of the Austrian Federal Ministry of Science, Research and Economy (former building of the Imperial and Royal Ministery of War.) 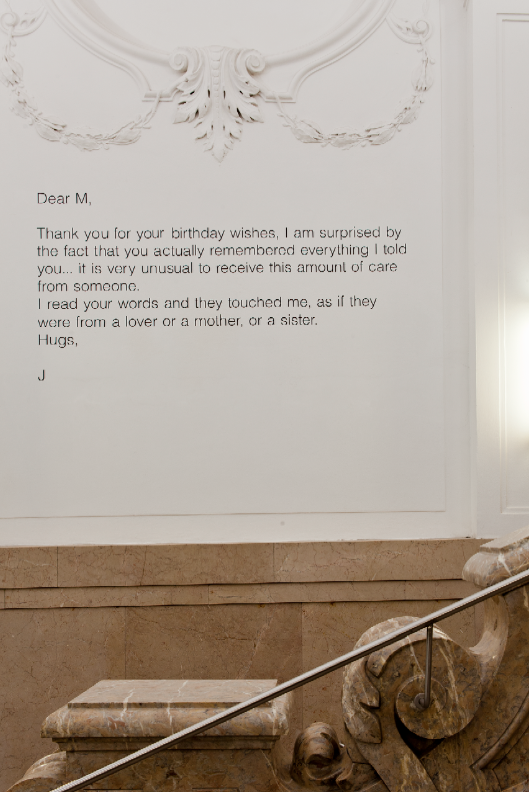 Jianan Qu writes a private letter to a friend, as a reply for her birthday wishes. The Federal Ministry deals with some of the most important national issues of Austria, Qu selfishly demonstrates what is important for him. A gesture expressing a small human emotion stands in contrast to the important decisions made in this building. It offers a pause for those hurrying through the space to attend to their various tasks. During the exhibition, the intense security and cams ensure the existence of this work and protect it from harms.